But wait, we haven’t added the third caustic ingredient yet! Meet Yui Yuigahama, who’s cute, bright, cheerful and apparently needs the service club’s help to bake cookies. Is this a recipe for romance or will the end product be poison gas or a nuclear meltdown? Will there be cookies, nookie or a reason for everyone to play hooky? 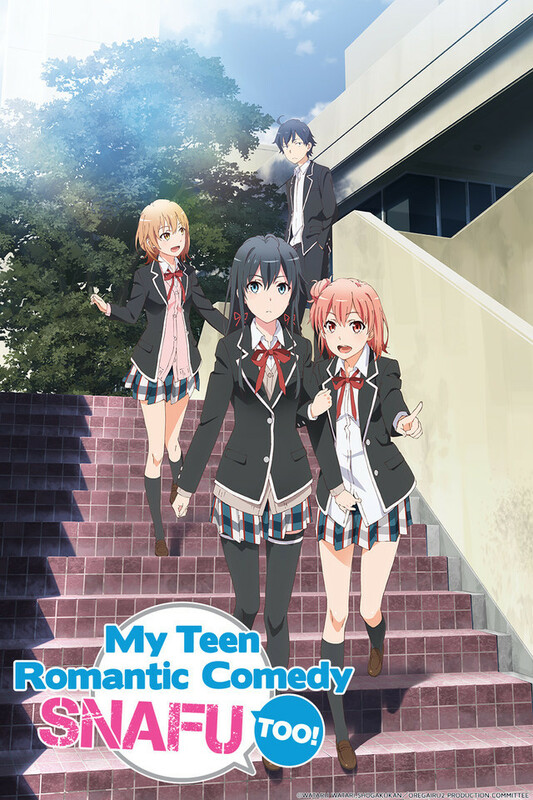 Get ready for romantic comedy gone totally wrong as the barrage à trois of the Service Club is unleashed on the unsuspecting student body in MY TEEN ROMANTIC COMEDY ~ SNAFU!